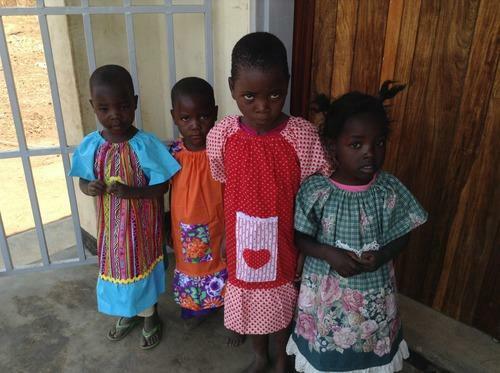 Have you heard the story about the 99 year old woman who sews a dress every single day for an African girl so each child will have something beautiful to add to her meager wardrobe? 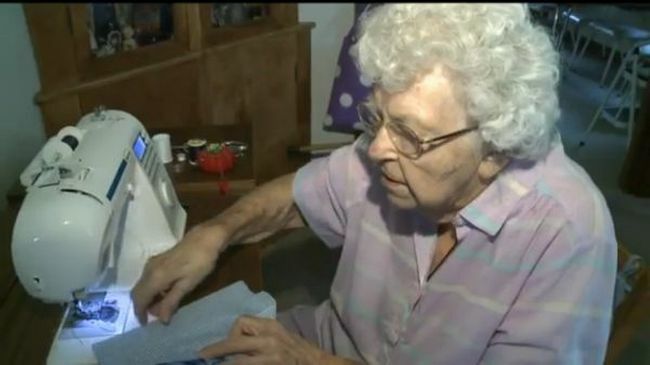 The sewer is not far from hitting the 1,000th dress landmark –which means she has been sewing for 1,000 days in a row. The senior citizen from Iowa incorporates unique trim, buttons, bows or what have you to give it a custom-made “especially made for you” look. 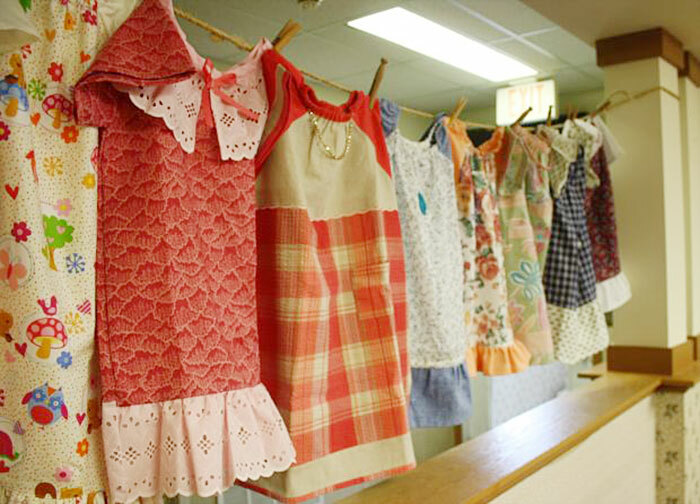 She puts her own heart-felt creativity into each dress so the little African girls will feel they have gotten something special, custom-made for them. Take tme To read the full story. It’s always good news when we read about inspiring women who are more interested in serving others through their creativity than worrying about aging. That is all for this Thirsty Thursday. This blog is brought to you by the award winning author of Gift of Lifetime: Finding Fulfilling Things in the Unexpected and Short Stories: Lessons of Heart & Soul.